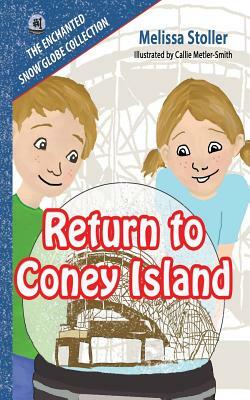 When nine-year-old twins Emma and Simon shake a snow globe from their grandmother's enchanted collection, they are transported back to Coney Island on June 24, 1928. According to family legend, that's the day their great-grandparents meet on the Coney Island trolley. But if events don't work exactly as they're supposed to, the meeting won't take place and the twins might never be born. After a day of adventures - from the Cyclone roller coaster to the boardwalk arcade, and finally to the all-important trolley ride - will the twins help make it happen?